The final Clinic of the Cycling Academy Training Clinic series that puts the "icing on the fitness cake" is THE SPEED AND POWER CLINIC. After 9 weeks of long climbs and roller riding, the program changes to high-power output, short work bouts, and rest periods. 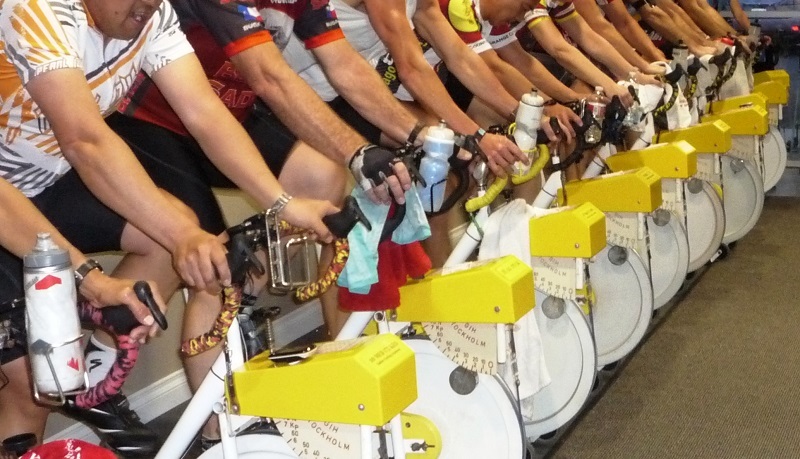 The focus for the next 6 weeks is on higher-than-normal effort, elevated heart rates and short speed and sprint bouts, interspersed with numerous rest intervals--all done on the Monark ergometer and wind trainer. Improves aerobic capactiy, lung function, leg strength, climbing power, flat speed, and recovery. Improves leg power, leg speed, leg strength, lung efficiency and power, aerobic power, heart function, road speed, and recovery. This class can also help you to lose weight (fat), burn calories directly, increase metabolism, and improve your general fitness, health, confidence and your quality of life (not to mention your love life). This is interval training at its very best. And the outcome will be a superior cyclist who can cruise at a faster speed with less effort, jump out of the saddle to catch and roll by other riders, while recovering quickly to be ready for the next (effortless) challenge. Look original, Look KEO, Shimano SPD or Shimano Road SL compatible shoes/cleats are required. 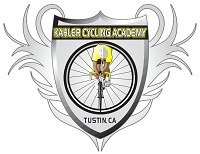 All of these clinics are run by Robert Kahler who has been cycling for over 35 Years including being a California State Champion, was a National Coach for 6 Years, and has a Masters of Science Degree in Exercise Physiology. Be a part of the super-fit!! Classes are limited to 33 spaces each -- and these Clinics always fill! Be a part of it!! Allow THE BOSSMAN to take you to the next level! Give us a call at (714) 713-9557!! the Toughest Century in Southern California! !